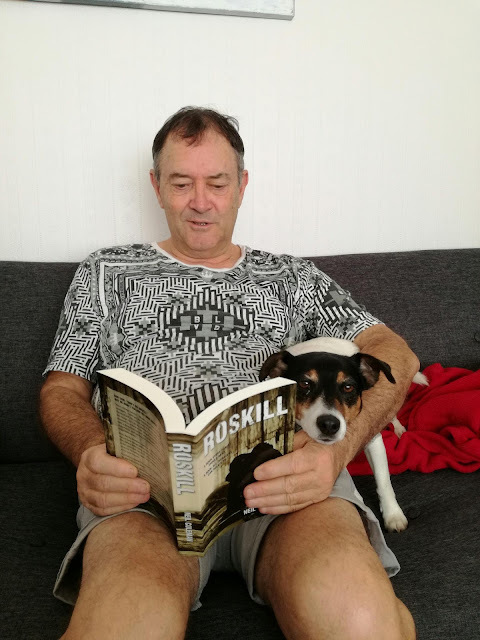 Perdy, the wonderful little heroine, Jack Russell from Thames, New Zealand, has decided to up the game, contribute to the welfare of her supposed master, Neil Coleman and go PUBLIC. Perdy has been through a great deal, since moving from the big city, Auckland, about an hour and twenty minutes away. There have been storms, a rescue, lots of 'running away events,' plus all the adventures associated with moving to a new home. She has a group of hens to look after, but her idea of the latter is somewhat askew from that of her Daddy, Neil! Perdy has recently stepped into a new role, that of 'Media Manager/publicist,' for her Daddy's books, ROSKILL and TALK TO ME. It has been a bit of a rocky road, a bit like the storms we have been having down here, but surely there must be a 'silver lining,' in the mix. One quality Perdy shares with all Jack Russells is her propensity to be stubborn, tenacious and downright single minded! To her----those 'traits' are in her DNA---simple. Perdy engaged in a huge leap of faith, by volunteering to be 'in' one of the books, but to protect her privacy at the time, decided to go 'incognito.' Yes, Perdy became SPOT in Talk To Me. 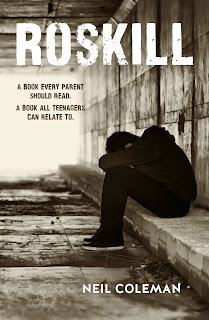 The book is about a hard working talk back radio host Gary, who becomes the target of some pretty nasty stuff, in the book. Suffice it to say, because Spot does not want to give away too much, things to get a bit naughty at times! Perdy has played a part in Neil's efforts to get Roskill 'out there,' too. She has attended launches, road trips to bookshops and picnics in the park when she lives back in Auckland.